Tim and Eric are back in a big way. 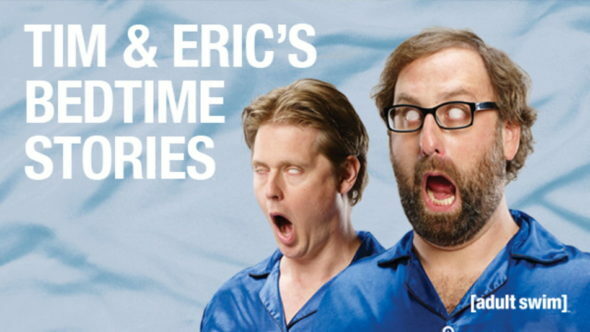 Recently, Adult Swim announced the premiere date for season two of Tim & Eric’s Bedtime Stories and a 10-year anniversary special for Tim and Eric Awesome Some, Great Job! Season two of Tim & Eric’s Bedtime Stories premieres on Adult Swim on September 10th at Midnight ET/PT. Meanwhile, Tim and Eric Awesome Show, Great Job! Awesome 10 Year Anniversary Version, Great Job? debuts on August 27th Midnight ET/PT. What do you think? Are you a fan of Tim & Eric? Are you excited for the new special and season two of Bedtime Stories? More about: Adult Swim TV shows: canceled or renewed?, Tim & Eric's Bedtime Stories, Tim & Eric's Bedtime Stories: canceled or renewed?